The Canopy Shop is a leading specialist manufacturer and retailer of canopies and carports for both domestic and commercial purpose. Our aim is to provide detailed and accurate information about our range of canopies and carports, giving you as much information as possible to help you purchase the canopy/carport that is right for you. The Canopy Shop product range includes Patio Canopies, Carports, Over Door Canopies, Curved Roof Canopies, Glass Canopies and Bespoke Commercial Canopies including School Canopies. Our extensive range of canopies and carports provide the perfect entrance shelter or covered seating area for your property. Our Commercial Canopies can be used as covered play areas at schools and nurseries and social dining areas for secondary schools and colleges. We have also installed commercial canopies to cover loading bays and smoking areas and even to provide an outdoor seating area for nursing homes, pubs and social clubs. If you can’t find the canopy or carport you’re looking for in our existing ranges, then we can design a canopy to suit your needs. Simply select the Bespoke option from Commercial Canopies menu and fill out some details in order for us to provide an accurate no-obligation quotation. Our Frequently Asked Questions page gives clear answers to the most frequently occurring questions that you may have before deciding what to buy. This page is constantly updated with any new questions we receive and all information is checked regularly to make sure the answers we give are up to date. Or if you prefer you can call one of our sales advisors on 01536 446393 to discuss your requirements. Most of our canopies and carports can be purchased securely online and delivered to your door free of charge within non-remote areas of the UK mainland. You can buy safely online through The Canopy Shop: we use SSL encryption to keep your information secure (look for the padlock symbol in your browser during checkout), and our online payment processing is provided by Sage Pay, one of the largest independent Payment Service Providers in the UK. 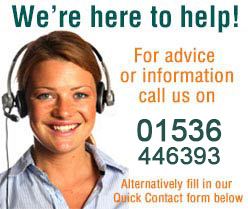 If you have any questions regarding any of our products please call us on 01536 446393 . The Canopy Shop is part of The Internet Shop group of companies, which includes The Glazing Shop and Rapid Tools Direct. For Glazing Bars, Polycarbonate, Conservatory Roof Kits and many more roofing products and accessories visit www.theglazingshop.co.uk. For plumbing, builders, carpenter, electrician, engineer and roofing tools, or just simply need tools for jobs round the house visit www.rapidtoolsdirect.co.uk.